Our solution allows local businesses to show up in search and promote their services to customers at exactly the time they’re looking for your type of business, in the exact area that they are looking. The new customers aren’t just online customers, they’re ‘real customers’. This means the leads generated are not only very well vetted, but have a higher sales conversion rate. If they find you they will call you or walk through your front door not just simply visit your website. Local SEO done right returns highly targeted and relevant customers. Smartphone usage and better internet connectivity has made local SEO a priority for many businesses. People these days search for a particular product or service on their phones, in real-time, and then act on the information they find. 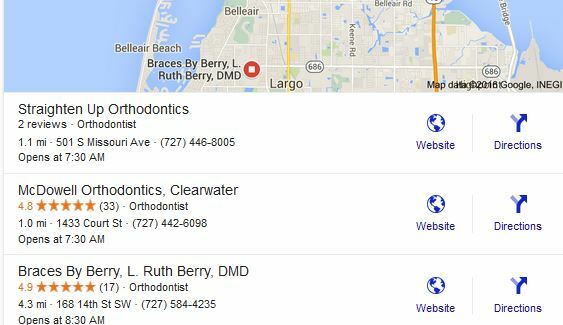 Google has indicated that one-in-three US mobile queries is now ‘local’ in nature. That is to say that people search for things that are near them and relevant. No-one cares if there is a good dentist three states away, or a great doctor with excellent reviews five hours away by car. If you are searching for a pizza joint and you are in Los Angeles it doesn’t help you if your search returns results from Chicago, or even Orange County. When they are searching, it’s usually for a something they need or want – right now, close by. 87% of people use their phone when on-the-go. Google has also discovered that 95% of mobile users look up information on their phones. That’s pretty much everyone! And the primary reason that people search for local information is for calling or visiting a business. Local based search engine results will become more and more important, so that Google can provide users with the most relevant information available. Some clients ask if they can target customers in a nearby area or larger catchment basin using our Local SEO service? The answer is yes, you absolutely can. We have had excellent results utilizing keywords that pull highly qualified leads from other areas like towns or even counties that are close by or adjacent to our clients’ business. You could even set up separate pages that can target an entire state if you wanted to. Franchise businesses with multiple locations need to have local SEO down pat, so that customers can find them in the relevant areas rather than just going to a large corporate site. People want to know what is available to them. Unlike other local advertising – like local papers, leaflets, flyers and so on – with effective local SEO there is no wasted exposure. You directly reach potential customers when they need you and not when they don’t. This makes local SEO both efficient and cost-effective.